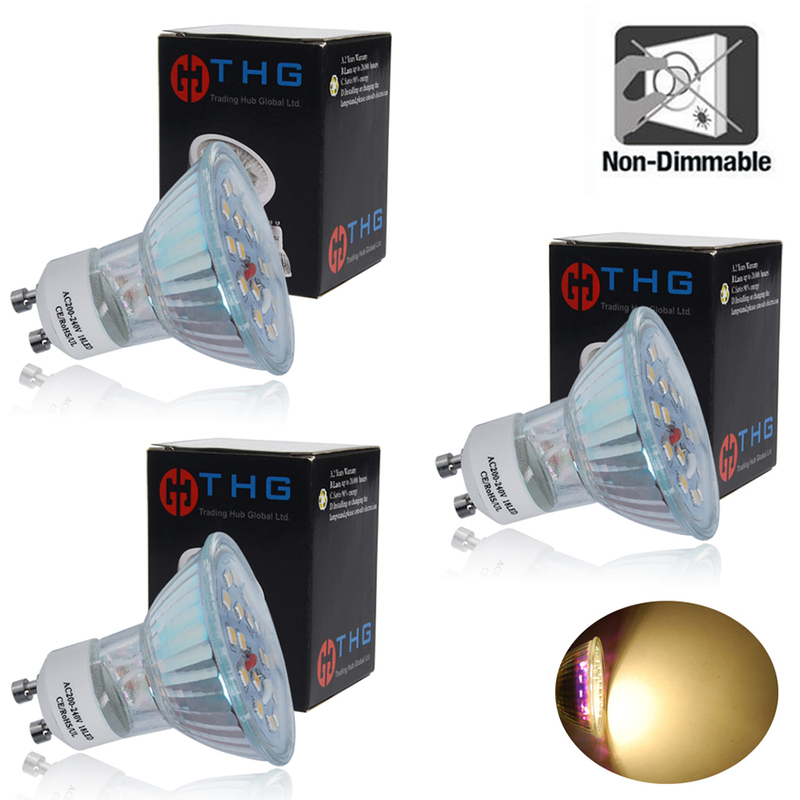 This LED GU10 spotlight provides the same light intensity as a 50W GU10 halogen while lasting an incredible 50,000 hrs and consuming only 5W of electricity. Designed as a direct replacement for your power hungry halogen light bulbs while making savings of over 85% on electric costs. They deliver a warm white, wide beam. Low heat generation, no heat damage. 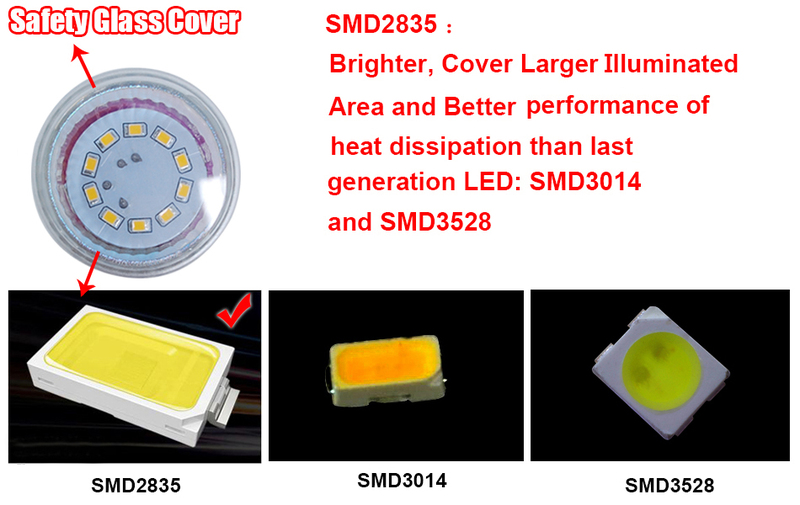 FS Led Spotlight offer green and high efficiency illumination lighting solutions. 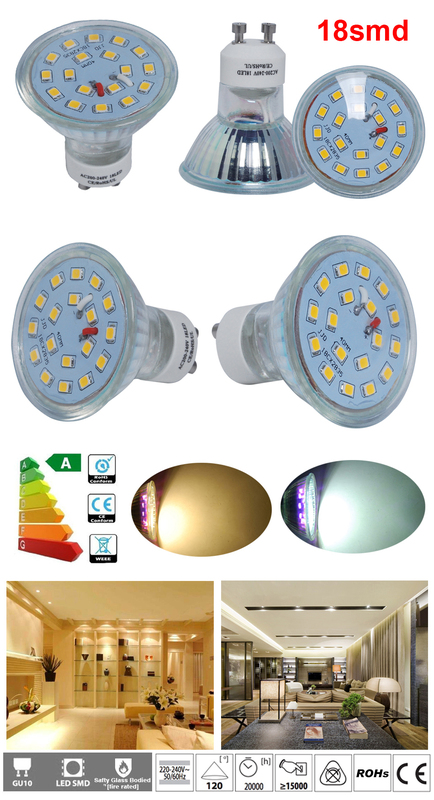 They have many advantages against incandescent light bulbs such as energy-saving, pollution-free, long life span etc. 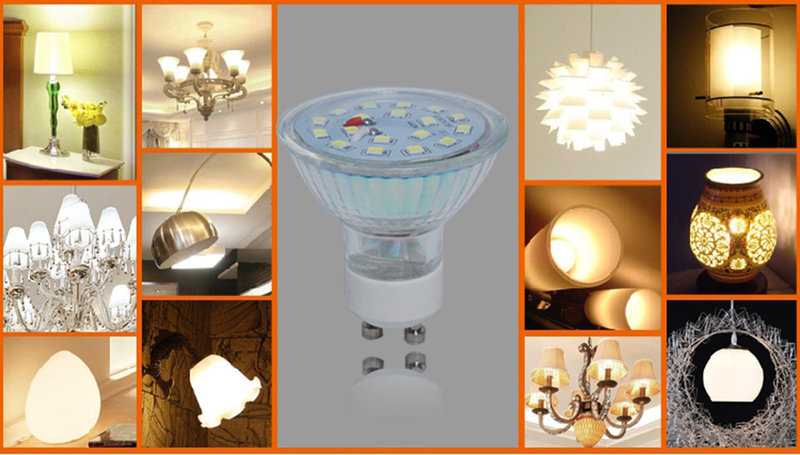 With so many benefits, They are gradually replacing the conventional incandescent lamps and CFL lamps. They're GU10 bulbs. They're spotlights. They consume 5W. They're brighter than the 50W bulbs they've replaced. So now I'm using 92% less energy than I was before. With more effective lighting. Great light for my daughter's bedroom over her dressing table, brighter than expected, but ideal for applying makeup, and looks really modern. I don't usually write reviews on electrical stuff until after a few months but these lamps are really brilliant if they stand the test of time. I ordered them at around 20.30 Thursday and they arrived 07.50 Friday morning Installed them immediately and they all work well with no flickering. They're really bright, just right for kitchens and are a really nice colour temperature. Not dimmable but at around £1.60 each good value for money. I will be buying more for other rooms.